Grand CH. 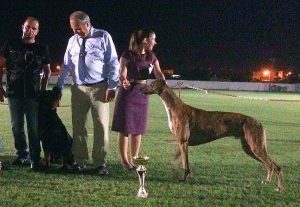 Ina’s Fashion Continental winning another All Breed Best In Show at the National Summer show 2017 in my mother country, Cyprus !!! “Sebastian” is the TOP DOG of all breeds in Cyprus for 2016 according to the point system and hopefully will be representing the country at the Eukanuba World Challenge 2018!